From inception to production, there is a narrative that explores why a company is successful. Take it a step further, and you'll discover why the company founders and employees believe in it - and why a customer should too! As a business, how can you connect with your customers in a way that makes them believe in your story as passionately as you do? As a leader, how can you engage your employees so that each day they feel like heroes in your company's story? 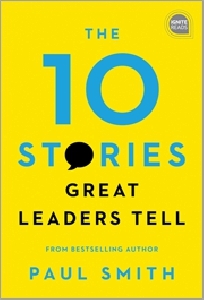 Paul Smith explores the narratives to set up true success as leaders - every step of the way. Every company has a story that deserves to be told.